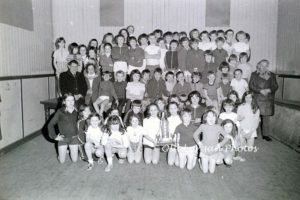 St Peter’s Athletic Club was founded in 1958. 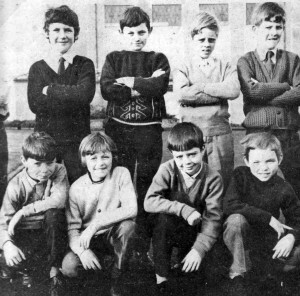 The original committee was: Bobby Carville, Jimmy McKerr, Seamus Carville and Packy Mallon. Packy was a working member until a few years ago, and passed away in 2012 .Packie was recognised for 50 years service to sport in the area by Craigavon Council at their annual sports awards in 2012. Much of the Athletic Club’s success, at individual and team level, can be attributed to his commitment and endurance. Shortly after the Athletic Club was established a long list of regional, national and international honours followed. 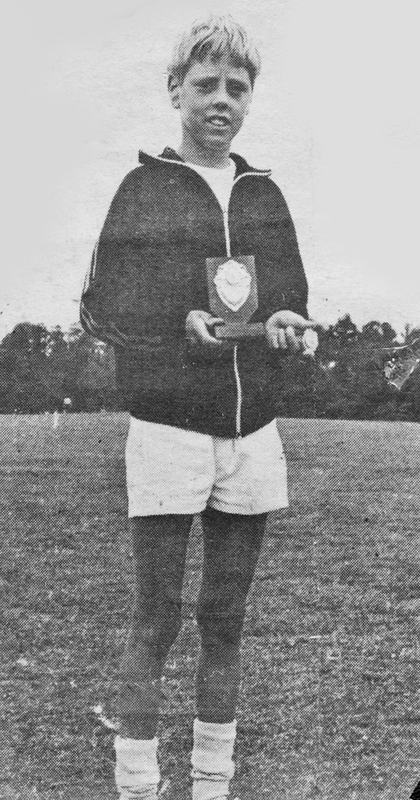 Listed below are only some of the success stories: 1963: two Ulster Champions in javelin and long jump – Michael McVeigh and Rodney Creaney. 1979: Charles Carbery obtained an All Ireland Intermediate medal in the 5000 metres; 1985: team success in the Lisburn Cup. 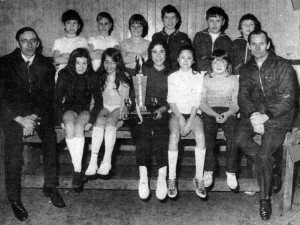 In addition, lots of titles were won, including Susan Beattie who won an All Ireland in 1500 metres; Helen Gourley won All Ireland in both 400 metres and 100 metres hurdles; Jaclyn Murray won All Ireland at under 14 and under 16, and went on to represent Ireland in the International Schools competitions. 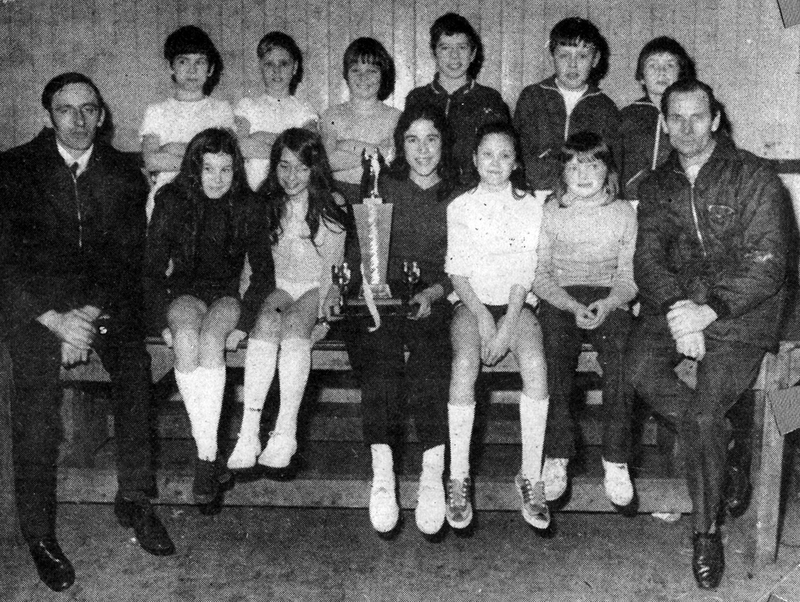 Lurgan Runners Beat Armagh (1979 ) 12 year old Tony Gallery was the toast of St Peter’s Athletic Club when he cantered home first in the Under 12 cross country event on Sunday. His victory, which brought him the applause of the huge crowd of spectators present, was the highlight of the Co Armagh Championships organised under Ulster Sports Council rules and held at The Wood, Cornakinnegar Road on Sunday. The two Ulster Sports Council Teams in the county St Peter’s of Lurgan and Armagh sent strong contingents. In the main six mile cross-country Senior event the winner was the fancied Charlie Carberry of St Peter’s, with team mate Kevin Henderson second. Veteran Lurgan runner Patsy McGeown pu up a memorable show and left a lot of the more youthful competitors a long leg-weary way behind by coming in 6th. In the Under 10 years event, St Peter’s Patsy Gallery came in second. St Peter’s also won the Under 12 team event with their team of Tony Gallery, Martin McNeice and Gerard Morrow. Senior top runner Charlie Carberry will be competing in the All-Ireland Senior Cross-Country Championship at Dundalk on Sunday next. St Peter’s Chairman Mr Bobbie Carville congratulated the prizewinners. He particularly thanked Mr Sean O’Neill of The Wood, Cornakinnegar, on whole land the competitions had been held, and the Rt Rev Mons James Haughey PP Lurgan for the use of St Teresa’s Primary School. He also thanked the ladies of the Catering Committee for their hard work during the afternoon. Top Sportsman Highlight of the games was undoubtedly the success of A. 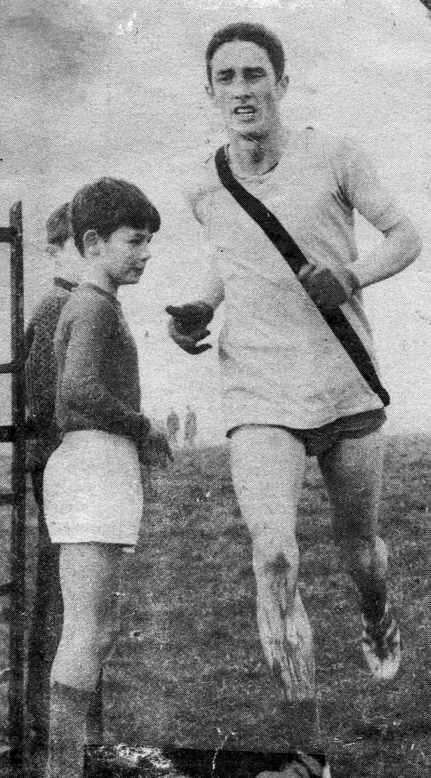 Gallery in the 400 metres in which he beat the All-Ireland runner-up Danagh Casey. His performance should get him the ‘Sportsman of the Games Award’ and judging by his style he should do well in the Irish Finals in Mosney. 1979 Lurgan Mail St Peter’s AC 11 year old Tony Gallery of St Peter’s Club, Lurgan has been invited to receive an award for outstanding performances at the BLOE Sports Starts Dinner Dance to be held in the Dublin Airport Hotel.This honour to one so young is a great tribute to the boy and also to the Club.The performances of Tony over the past year have been an inspiration to all Club members and his winning of this award is a great compliment to them as well as Tony. This presentation ceremony will be covered by radio and television. St Peters AC hit the Jackpot This was St Peter’s AC Lurgan, biggest day yet. At the Ulster Sports Council Juvenile Championships at Glenfin, Co Donegal they took medals from every event they entered and this despite fierce competition.They placed four in the first nine home in the Boys U-9 race in what was a flat out spring of 400m when only the most courageous could battle it to the front. David Green was 2nd, Liam Rice 3rd, Robert Creaney 5th and D Gallery 9th.The U-13 team was just pipped by two points for team honours by Finn Valley, Donegal. Tony Gallery came with a great sprint into 3rd place and he was followed by Martin Cullen 6th, Michael Shine 7th, John McIneney 14th and Chris Shine 15th.In the Girls U-13 race Sheena McCarron surprised many by finishing 2nd and is surely a star in the making. Ursula Mackle had a fun run in 7th place and other placings were A Gallery 12th and S Beattie 34h.The St Peter’s Boys U-11 team produced on of the best team wins of the day, beating Newry Shamrocks by just one point and Finn Valley by three points. Tom Coleman was their hero, finishing 2nd and he was joined by Darragh Casey 5th, Patrick Gallery 9th and John Carberry 19th.Prospective members are reminded that they can join the Club by going along on Tuesdays and Thursdays to the floodlit training at Clann Eireann Park. Man is charge is Charlie Carberry, who two seasons back won the Irish Intermediate Cross Country Championship and represented his country in Spain. He certainly should know that only top competition can bring out the best in his charges. Charlie Carbery (St Peters AC, Lurgan) who had been somewhat in the shadows this season travelled to Ballyshannon on Sunday last, took on the top Donegal men on their own ground and gained a sweet victory over Neil McDaid, avenging a defeat by the Cranford man in this event last year.Lying 4th behind a Donegal trio of McDaid, Boyce and Drunin for a lap, Carbery then moved through with ease to once again underline the tremendous potential he has. He must now look forward to defending his Lisburn Cup Title with confidence on March 24. 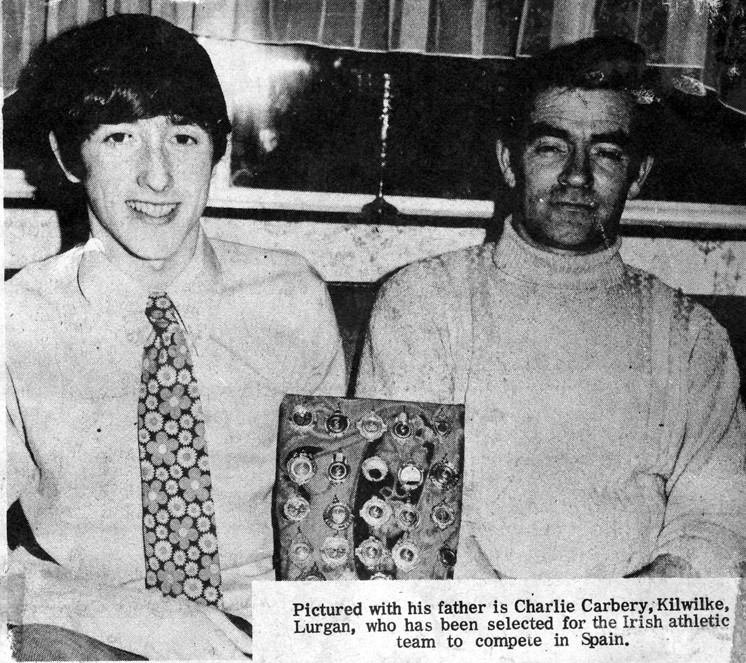 Representing St Peter’s AC, Charlie Carbery made the long journey to Ballyshannon to compete in the Inter County Championship of Ulster. Carbery ran a really brilliant race to beat former Ulster Senior Champion Neill McDaid by 50 yds with Patsy Quinn, fresh from coaching at an American University in 3rd place.This was a really fine performance from Carbery who was beaten by McDaid in the Ulster Senior Championship at Cranford. Charles won in the very fast time of 30 mins 37 secs for the six very gruelling miles.The boys are training very hard for the Lisburn Cup races at Newry and St Peter’s are entering two teams for the Under 13 and an Under 10 team and are hoping to do well after their great run in the All Ireland Juvenile Championships at Kilmacud. Charles Carbery is training very hard and is one of the top favourites for the seniors six miles which is a unity race, with competitors from USC, BLE and NIAAA. A Gallery should do well in the Under 13 race as he was in 10th position in a field of 138 runners at the All Ireland Championships. Charlie Carbery of St Peters AC, Lurgan gave Danny McDaid, the Irish Marathon Runner a tight chase for most of the way in the 10,000 metres event at Monaghan on Sunday when 700 athletes took part in an Ulster Sports Council meeting. Lack of fitness told against Charlie in the end and McDaid won.St Peter’s made a clean sweep in the U-11 600 metres event. Tom Green, P Gallery and M Locke filled the first three places and M Haughey back them up to win the team prize for Lurgan. 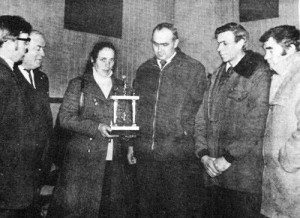 The ‘B’ group – D Gallery, J Carbery, B Haughey and K Patterson – were the 4th team. C Lavery, a newcomer finished 2nd in the 2000 metres and with M Shine, T Gallery and C Shine picked up the 2nd team award. Sharon Creaney was 3rd in the girls U-10 event and with Frances Marshall, S McGeown and P Toman took 3rd team prize. So Lurgan did well with 14 medals in the locker. The Club today continues to develop in line with the standards of the Irish Athletic Association/NI Athletics. 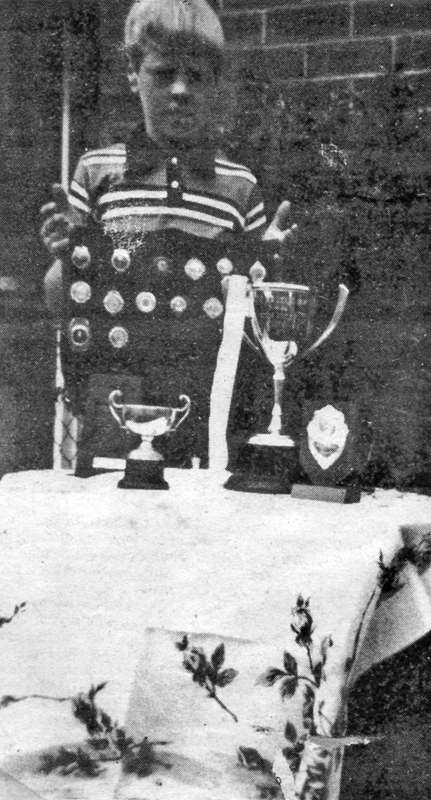 Packie’s mantle has been taken up by longserving member Brian O’Hagan.